Chardonnay is the diva of diversity. Corseted, but not too tightly, in French oak, the wine is full-bodied, rich, and lavish. Stripped down to its essence in stainless steel tank fermentation, it’s sprightly and fresh with a zingy bite of green apple. So it’s hardly surprising that chardonnay reigns as the queen of white wine, the most popular single varietal, red or white, in the United States and one of the most widely planted grape varieties in the world. But did you know chardonnay was almost wiped out in California during Prohibition because the thin-skinned grape couldn’t survive the journey back east for the still-legal home winemaking that kept the industry alive? Or that prior to 1968 chardonnay production in the Golden State was so low that the variety was put into the “miscellaneous” category by state agricultural officials? Turns out chardonnay’s back story is as multi-faceted as the wine it produces. Chardonnay is named for the French village of that name in Burgundy. Genetically, it’s a descendant of a red grape, pinot noir, and gouais blanc, a rather undistinguished white grape. Chardonnay is the primary grape of white Burgundies as well as blanc de blanc Champagnes. Chardonnay has been planted in California since the late 1800s, but production was limited. After Prohibition, the grape was largely uprooted to make room for thick-skinned varieties. In 1962, the French government went to the trouble and expense of diverting the new Paris-Lyon auto route away from the chardonnay grapes blooming in the 18.5-acre Le Montrachet vineyard, a hallowed source of white Burgundy. But in the ‘70s, as the renaissance of California winemaking dawned, chardonnay began to make a comeback. In 1976, the grape took another leap forward at the famous Judgment of Paris tasting when California chardonnays took four of the six top places. One of the improvements was to source the grapes from Carneros, which is at the southern end of the Napa Valley and gets the cool weather that chardonnay needs to stay fresh and lively. Doug Shafer, working with winemaker Elias Fernandez, also began minimizing the juice-to-skin contact to keep flavors pristine, putting whole clusters in a Champagne-style press which gently pushes out the juice. In recent years there’s been hot debate over chardonnay styles, with a backlash against very ripe and oaky styles that spawned the ABC (Anything But Chardonnay) movement. Even that didn’t do much to dent chardonnay’s dominance, although it has prompted producers to offer leaner, racier styles. 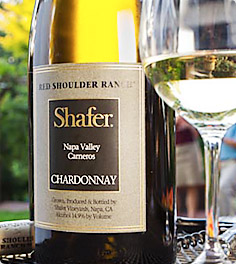 Shafer Red Shoulder Ranch Chardonnay steers a middle course. The wine does not go through malolactic fermentation, a process that amps up the buttery factor, sometimes producing wines that are criticized as “fat” or “flabby” — hardly diva attributes. But Shafer chardonnay does spend some time in French oak, producing an elegant wine that balances the lushness of tropical fruit with a bright acidity. Wondering what style of chardonnay suits your palate? 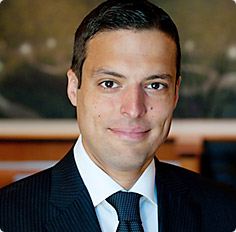 Master Sommelier John Ragan, wine director for Union Square Hospitality Group, suggests one way to sample the many personalities of chardonnay is to take your taste buds on a tour of Burgundy. Michelle Locke is a San Francisco Bay area writer who covers wine, food and travel for the Associated Press and other publications. She blogs at www.vinecdote.com.